If you dive in the Mediterranean Sea you can probably recall few encounters with brightly coloured fishes due to the temperate waters. Nevertheless, there is some occasional spots of color that contrasted so markedly with the grey-blue background. 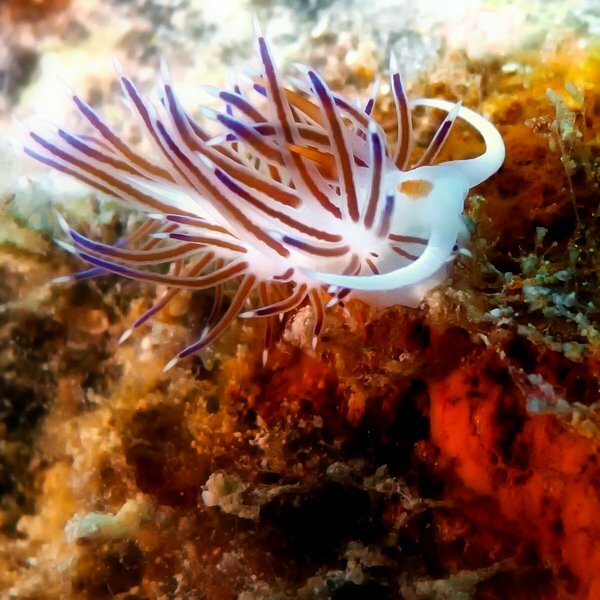 When you see your first nudibranch at first you stay stunned, after you blink, almost in disbelief and then you smile, pleased with the encounter just made. 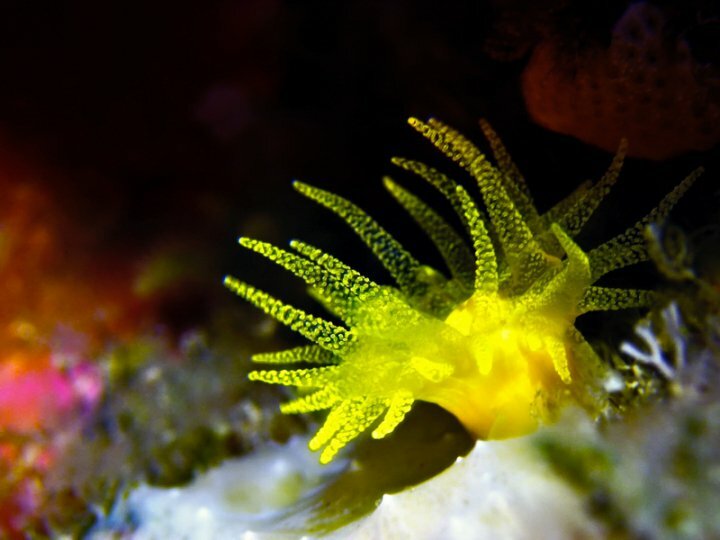 This is how Helmut Debelius describes this amazing creatures on his book, Nudibranchs and Sea Snails: “They look like the creations of talented painters, like exercises in imagination. They come mostly in bright colours, decorated with such profusions of undulating flaps, sensory organs and waving forests of fingers that it is difficult to tell which end is which. Delicate, seemingly unprotected, they are beautiful to look upon, the underwater analogues of butterflies”. 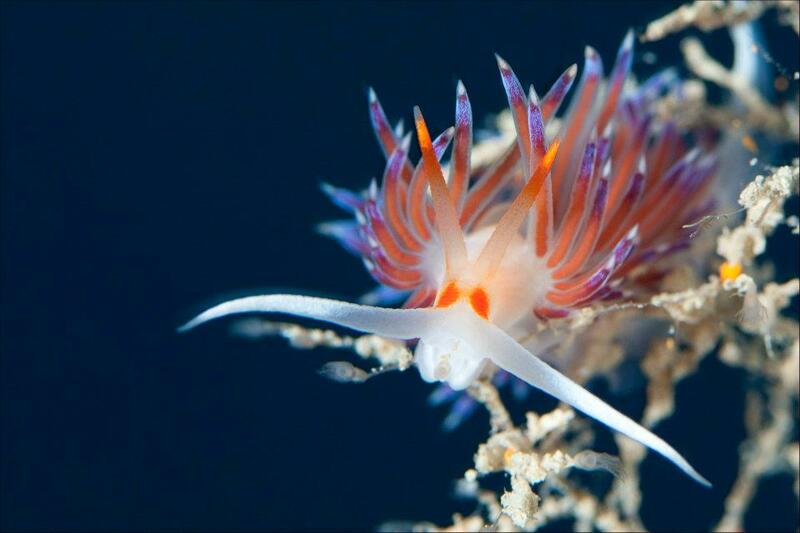 They belong to the subclass known as opisthobranchs and the word “nudibranch” means literally naked gills. This group includes some of the most colorful creatures on earth. 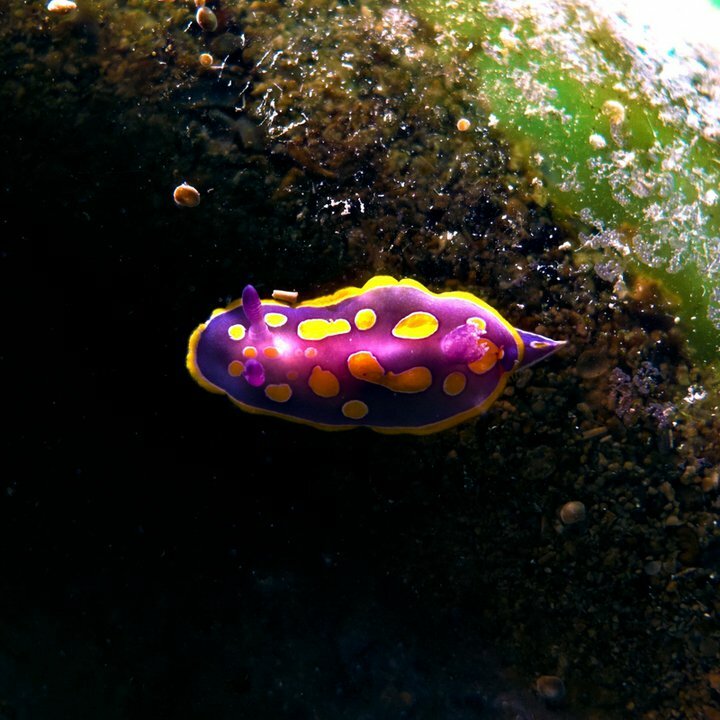 You can find the nudibranchs throughout all the world’s oceans and they live at virtually all depths of salt water, but reach their greatest size and variation in warm, shallow waters. However, their greatest distribution is in the Indo-Pacific. 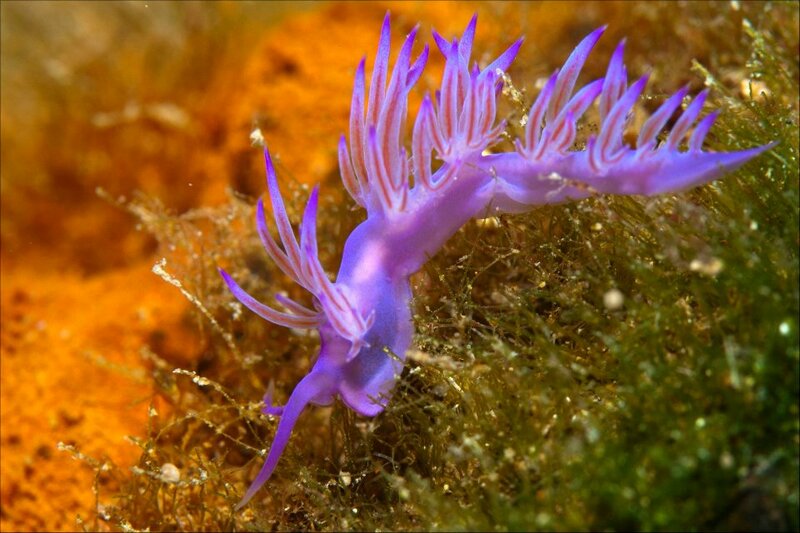 In the course of evolution, sea slugs have lost their shell because they have developed other defense mechanisms. The lack of the shell makes them more mobile, enough to move around looking for a mate or to escape from a predator.